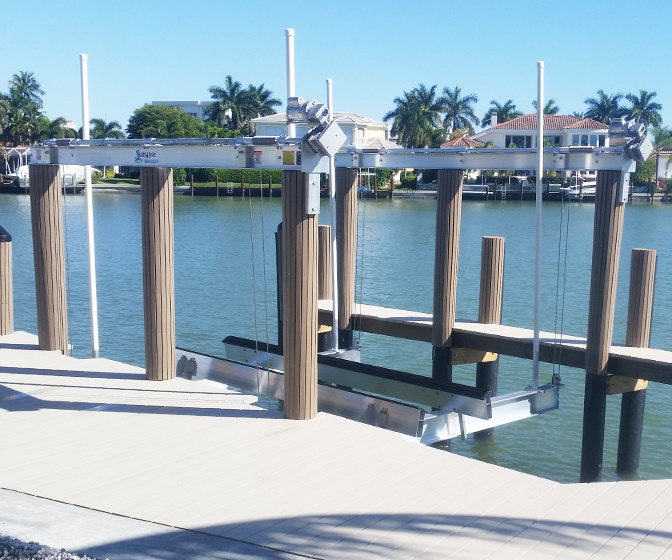 Greg Orick Marine Construction offers a variety of heavy-duty residential and commercial boat lifts. 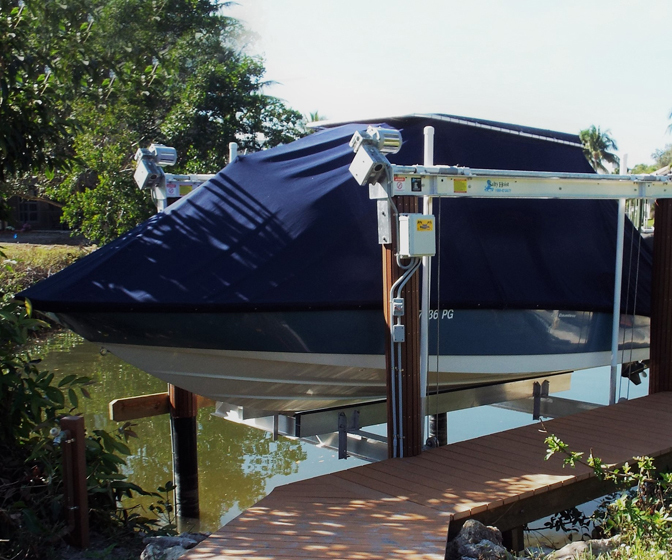 Our preferred boat lift is the Salty Hoist. 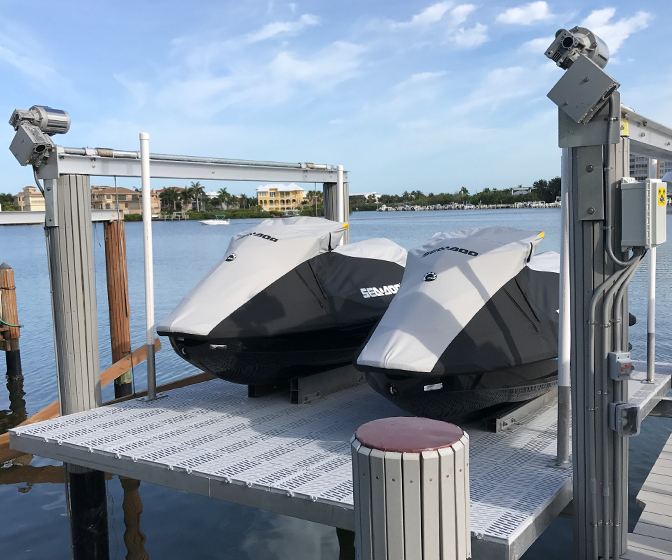 It is made in the U.S.A with high-grade aluminum, stainless steel hardware, stainless steel motors, and a-drive enclosed gears. 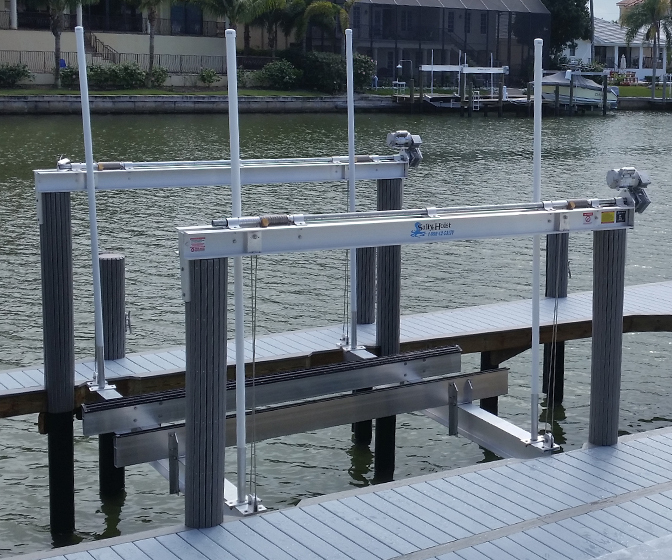 Salty Hoist fabricates platform, cradle, PWC, boat house lifts, and service lifts. 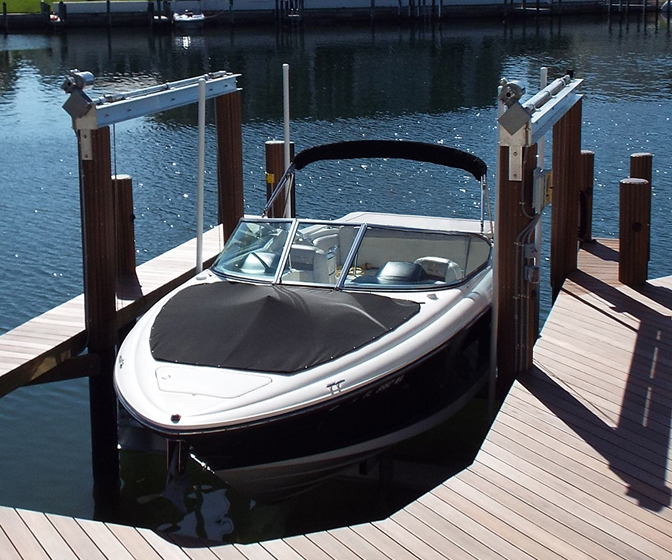 The majority of the lifts Orick Marine installs are unique and designed for its own custom project. 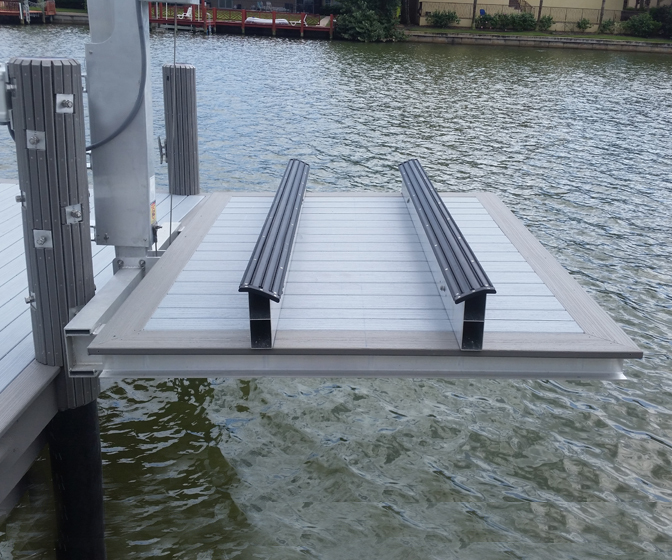 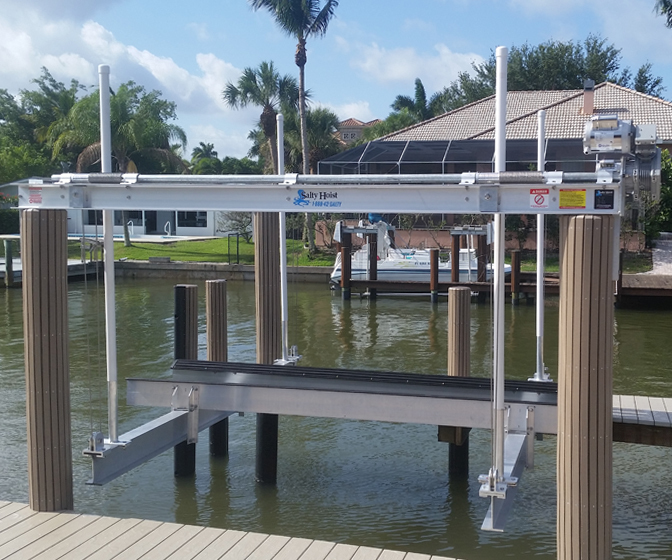 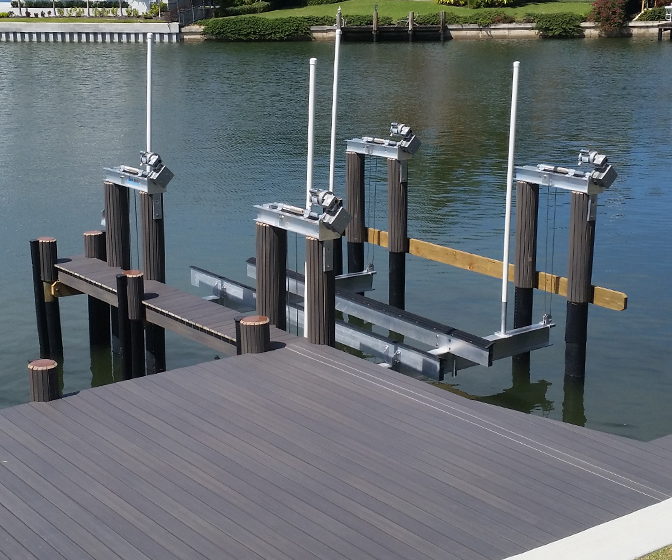 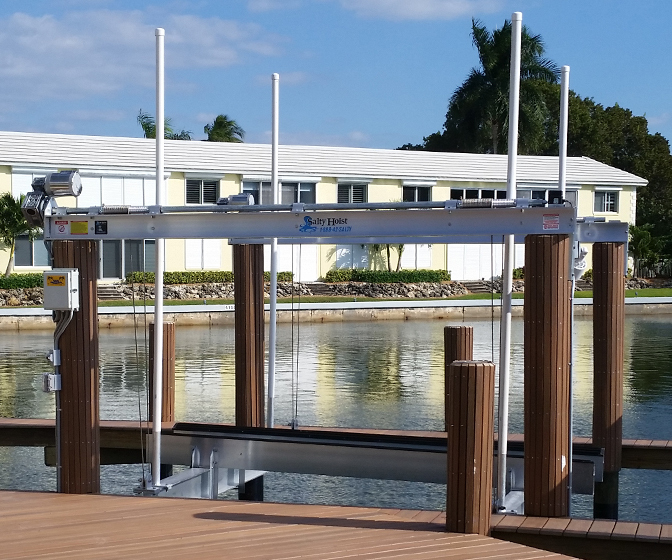 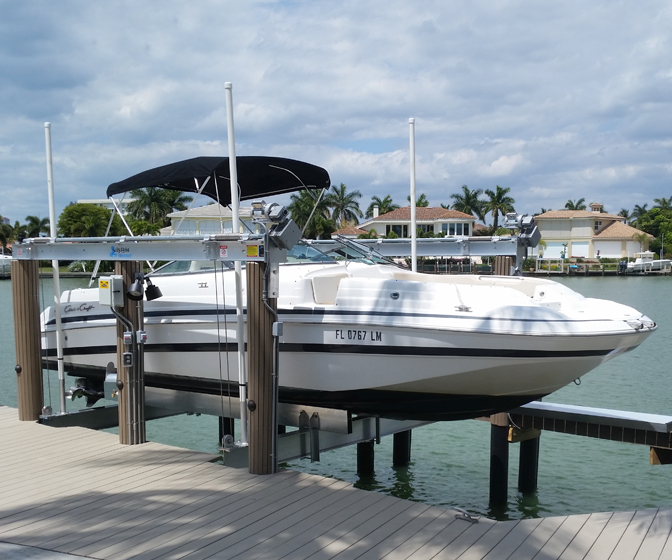 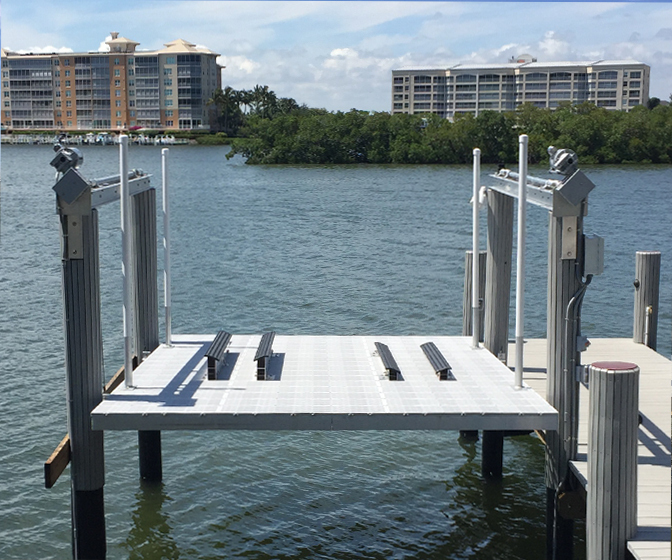 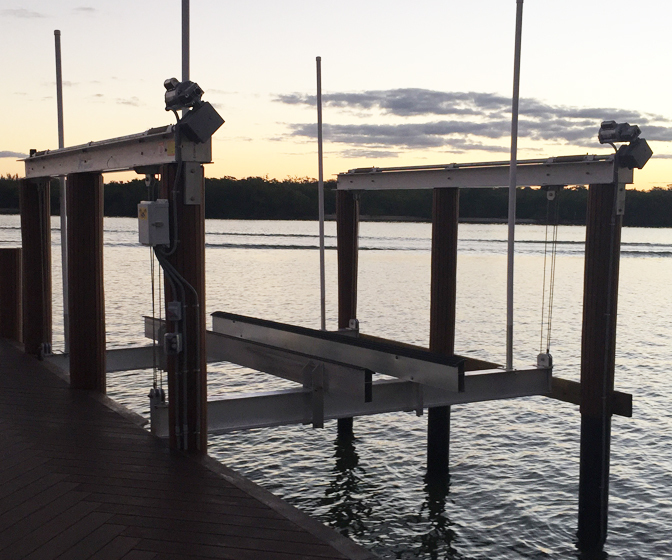 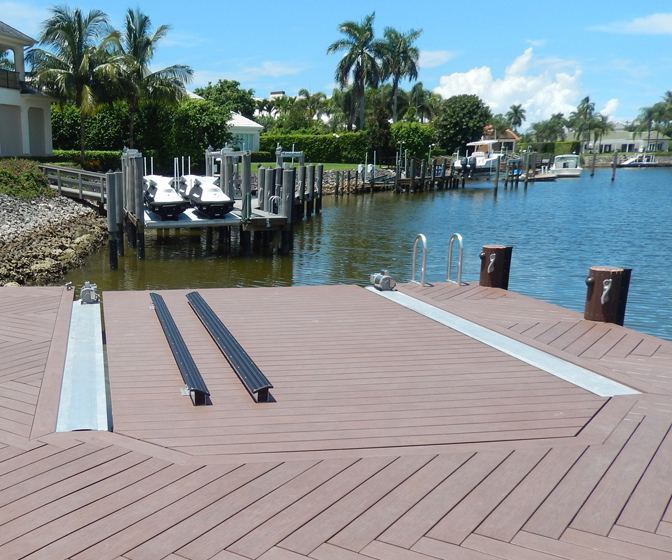 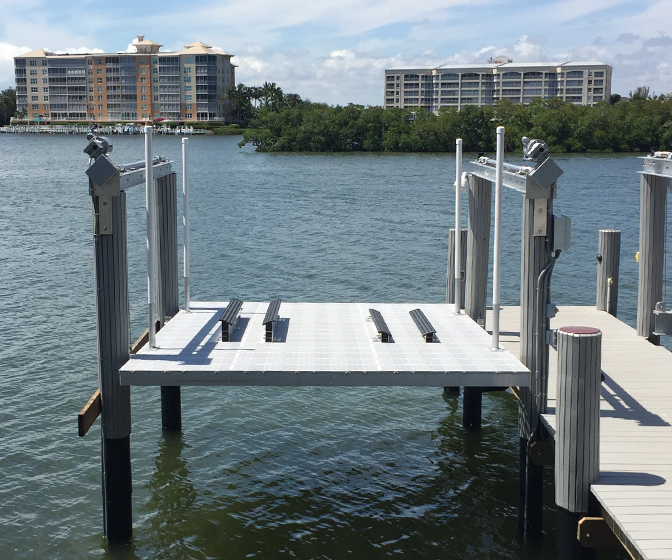 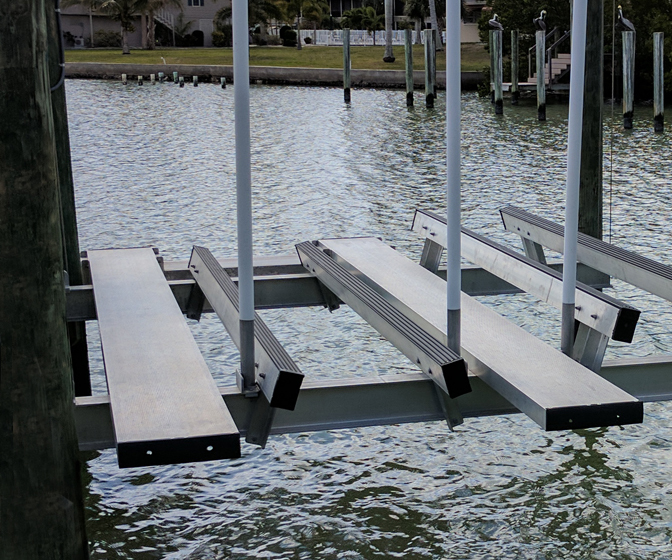 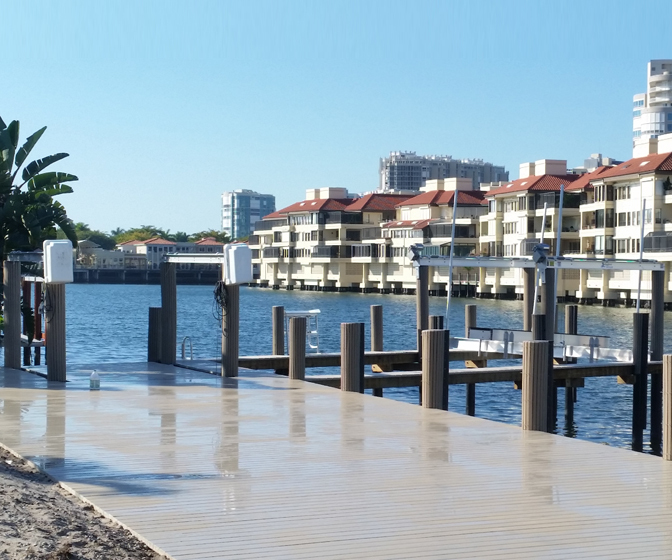 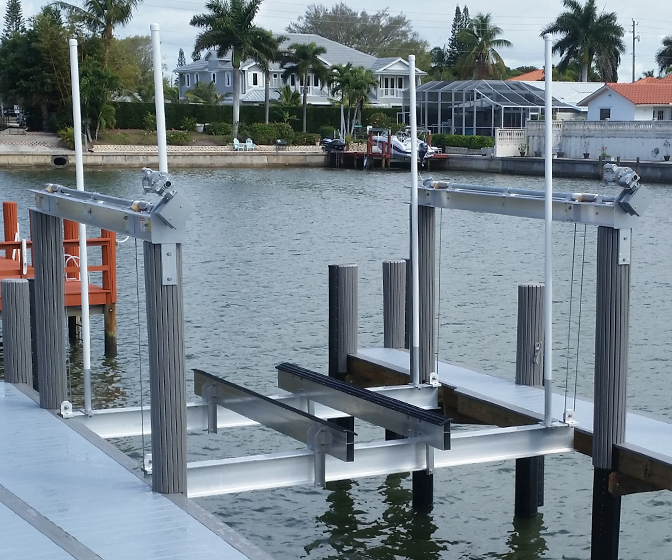 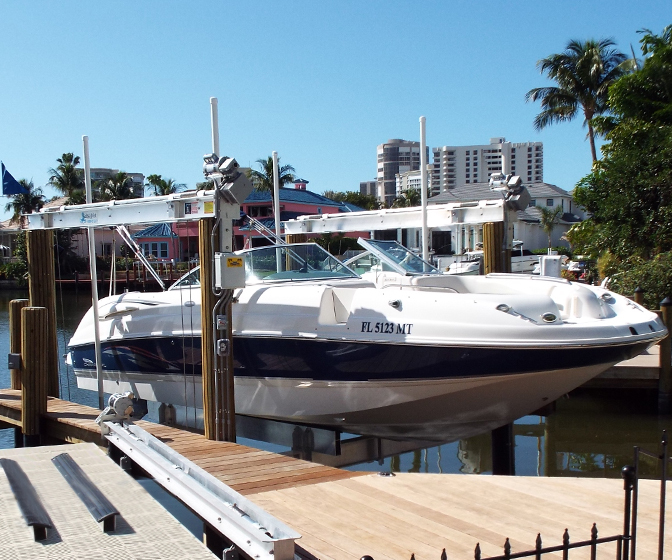 The zero profile platform boat lift is popular in Southwest Florida because it allows you safe access to clean and maintain your boat. 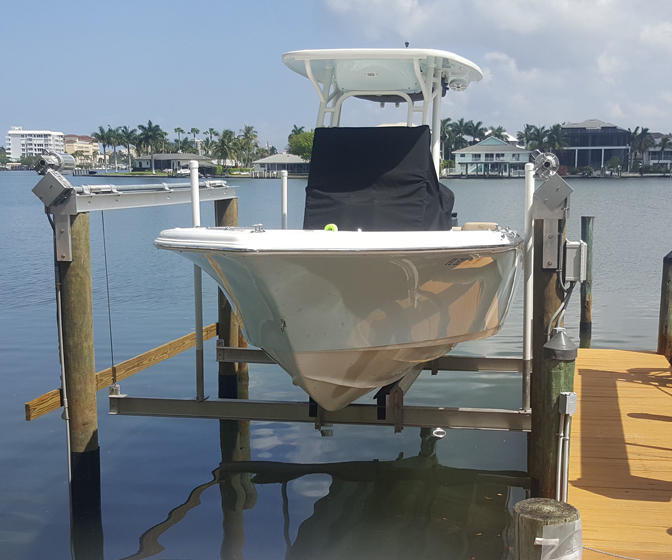 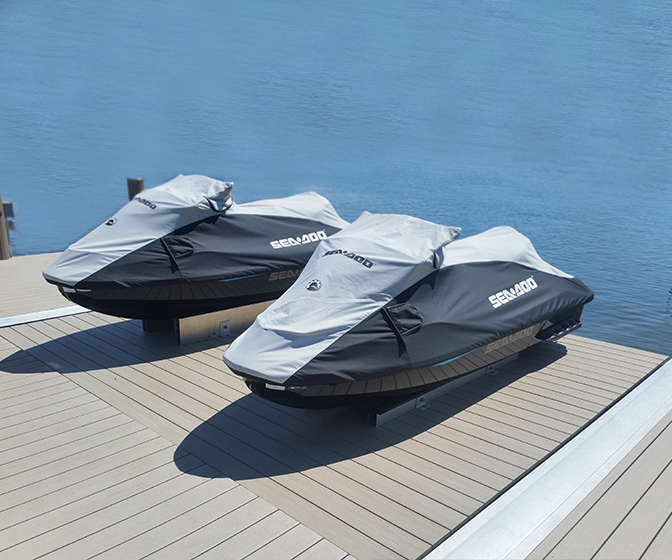 Let Greg Orick’s 30 years of marine construction experience help you create the perfect lift for your boat, complete with a maintenance plan and warranty.